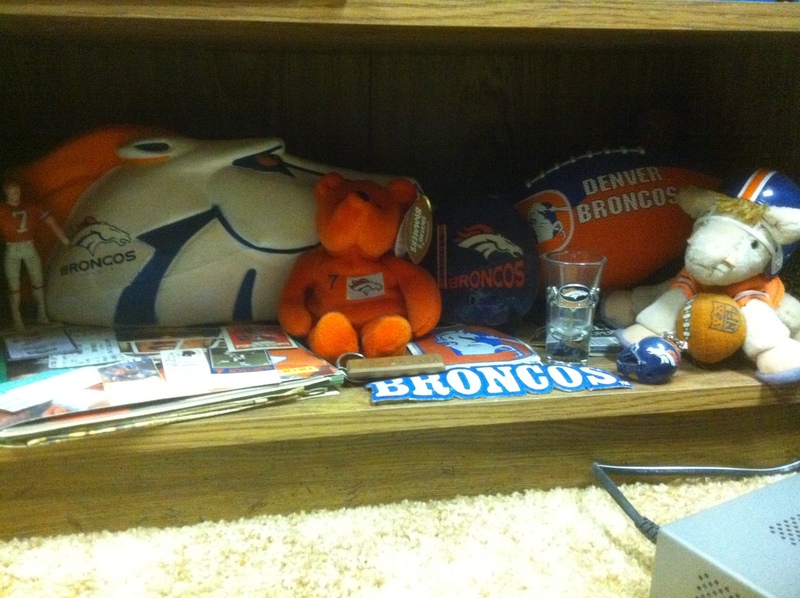 Home » Sports » I bleed ORANGE and BLUE, not really but I love my DENVER BRONCOS! I bleed ORANGE and BLUE, not really but I love my DENVER BRONCOS! As I watch the Denver Broncos play tonight on the first Thursday night game of the season, I recall how much I love my Broncos and the great experiences I have had over the years. Since I started following football in 1986, I have loved the Denver Broncos! I have Broncos tee shirts, sweatshirts, hats, earrings, bracelets, stuffed animals, Christmas ornaments, pillows, blankets, magnets, coats, cups, etc, etc. My favorite colors are orange and blue. Everything I own is orange – my clothes, my car, my glassware, my towels, etc, etc. 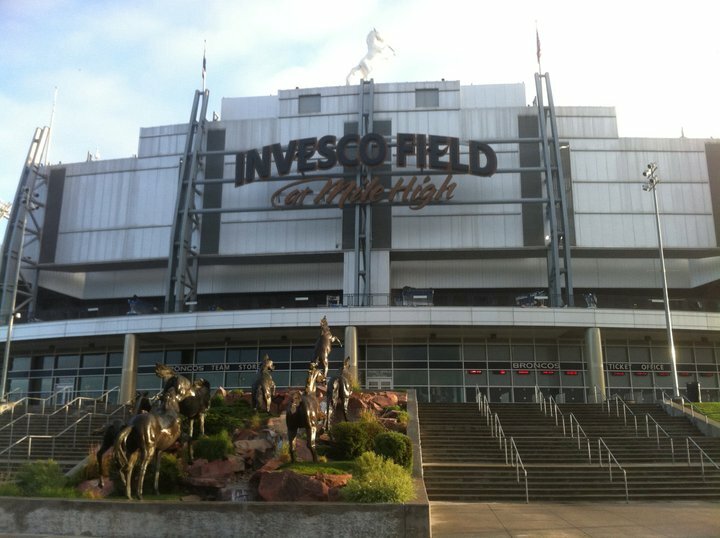 I have seen the Denver Broncos play several times over the years, including four John Elway games. 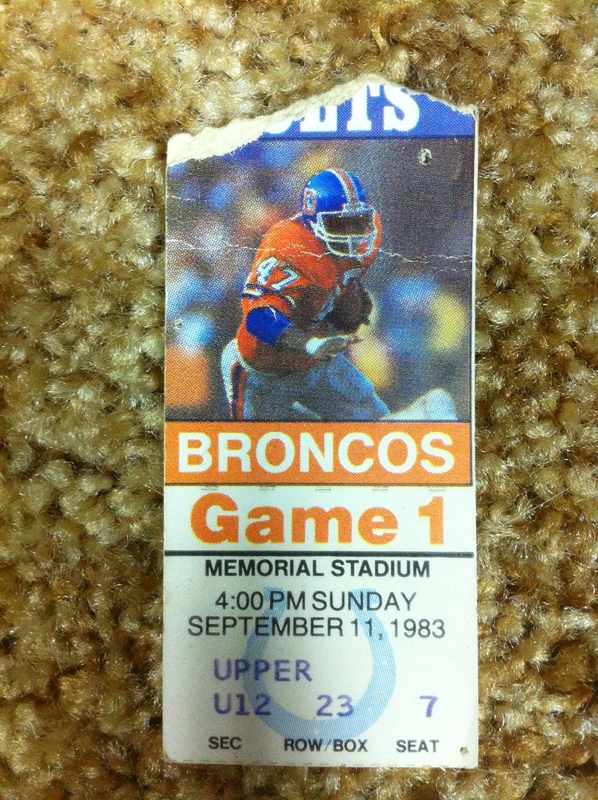 My very first NFL game was John Elway’s second NFL game. It was September 11, 1983 in Baltimore. I was 10. It was Elway’s rookie season with the Broncos, but he was originally drafted by the Colts. He didn’t want to play for Baltimore, so he said he would play baseball (because he was also drafted by the New York Yankees) rather than play for the Colts. This created quite the hatred for Elway in Baltimore. I remember there being ‘It’s Payday Elway’ painters caps given out to the Colts fans. I don’t remember consciously deciding to be a Denver Broncos fan, but I think that day in Baltimore had something to do with it. It was tough to be a Denver Broncos fan in the 1980s with three superbowl losses in four years. I remember having football parties and ripping my Elway poster and Broncos pennant off the wall in frustration. Besides John Elway, who is still my favorite football player, I also loved Ed McCaffery. Then I became a huge Shannon Sharpe fan when he joined the Broncos in the 1990s. Now I’m a Tim Tebow fan. The Denver Broncos finally won a superbowl. In fact, they won back to back superbowls in 1997 and 1998. I cried like a baby at that first superbowl win over the Packers. I still cry today when I watch the film and Broncos owner Pat Bowlen says, “This one’s for John!” In addition to seeing John Elway play in his rookie season, I was also lucky enough to see him play three more times, including his final season. My dad and I drove up to Philadelphia for a Monday night game against the Eagles in 1995. I drove down 95 to see the Broncos play the Redskins in Washington, DC in 1998. 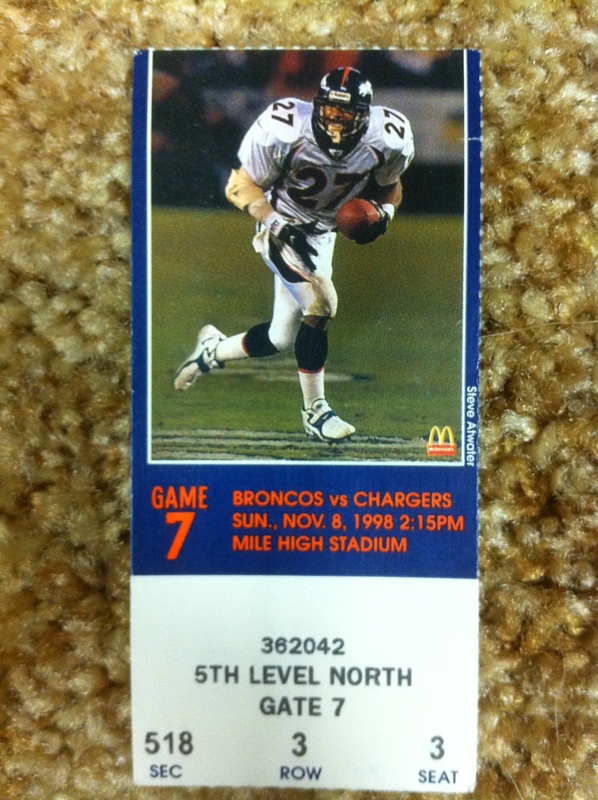 And I went to Denver to see Elway play in his last season at Mile High – a dream come true for me. In the past 11 years, I’ve seen the Broncos play several times against the Ravens in Baltimore and twice in Nashville against the Titans. One Broncos-Ravens game stands out in particular because it was on the same day as my best friend’s first daughter’s christening. I went to the christening, but not the reception after. I had my friend pick me up and I changed in the car on the way to the stadium. You must always consult the schedule when planning events! 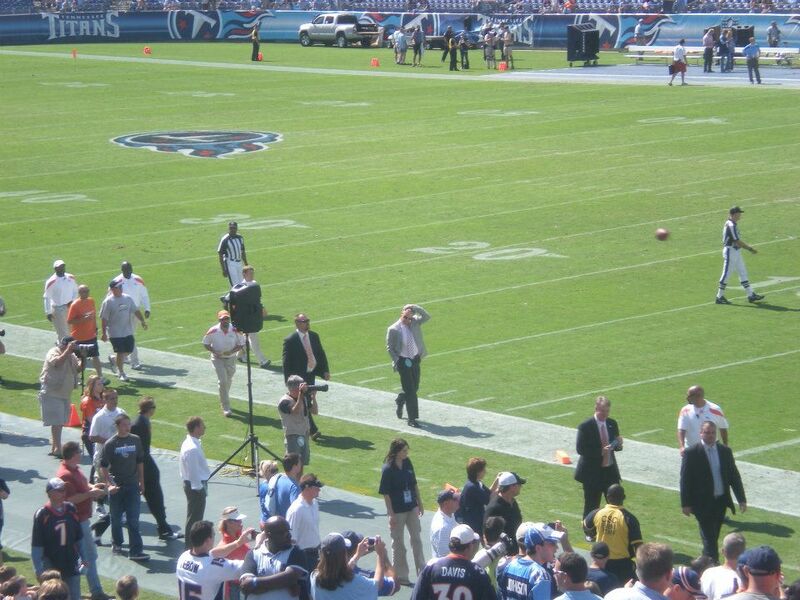 When I was living in Memphis, I drove 3 hours to spend my birthday weekend in 2010 in Nashville including watching the Broncos beat the Titans – one of only three wins that season. 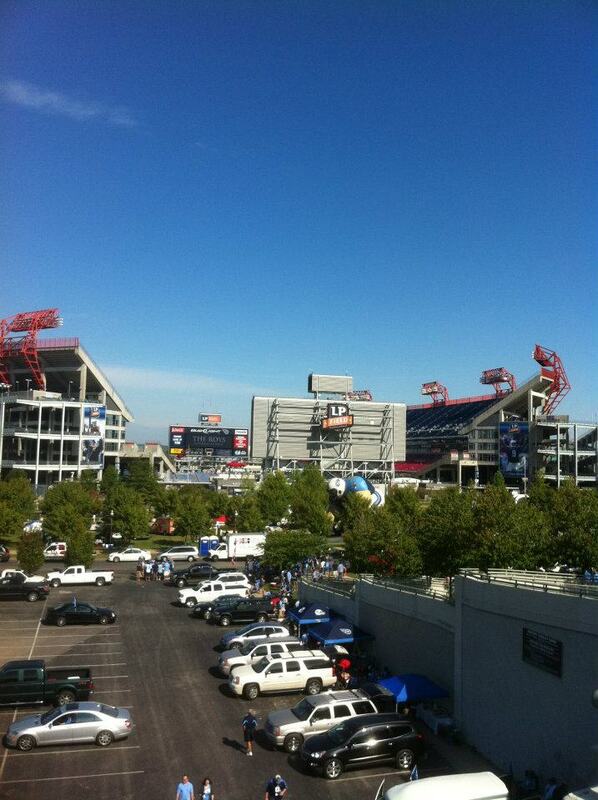 I stayed in a hotel within walking distance to the stadium. I dressed head to toe orange, including my orange Broncos jersey, orange cowboy hat and orange sneakers, and walked to LP Field two hours before kickoff. Please watch my video of an overview of that game – hold your ears, it gets kind of loud. My last week in Memphis, before I moved back to Maryland, I drove to Nashville for the day (in the same head to toe orange outfit as the year before) for the Broncos- Titans game, but this year they did not win. But I got something even better than a win. John Elway was at the game! I went nuts, running and screaming to try to get to him. I was shaking and sweating. 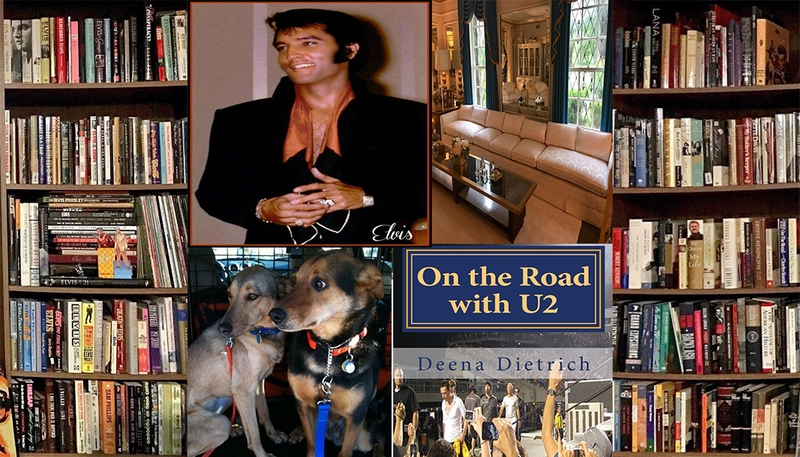 I didn’t even get that excited when I saw Bono – Larry yes, Bono no. Please watch my video of that day. John Elway is at the game!!! 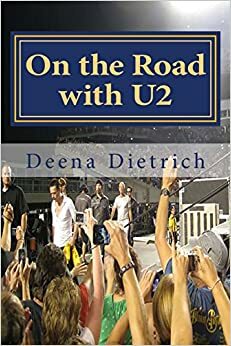 I was lucky enough to make it back to Denver this past summer when U2 opened their 360 US tour at Mile High, which is a new stadium renamed Invesco Field and now Sports Authority Field. I stayed at the hotel right next door and spent my first morning in Denver walking around the stadium with Elvis and Cilla. I didn’t see John or Shannon, but saw their names and numbers on the ring of fame inside the stadium. It was cool just to be standing on the field.